this EVER READY SKYQUEEN is straight out of the 1950s. shes been (tenderly) gutted and had a beaut pultec MB1 design two tube mic/direct preamp built into her. super great for direct bass guitar or keyboards. the microphone input is balanced low Z with switched phantom powering . she uses an american edcor input transformer with custom sheilding. the pultec MB1’s custom output transformer is made from the highest quality japanese grain orientated steel. this improves the low low bottom end signal integrity. xtal clear and solid bottom end gives an amp the big dynamic smack ability. the stereo 1/4″ input has a left/mixed/right signal switch. – matches from a media player whatsit. ipod or cd payer. sounds awesome – the valve amp gives that signal a very much sweet tweaking. she also has a tube P.A stage to drive the small but fat sounding internal speaker. or headphones. 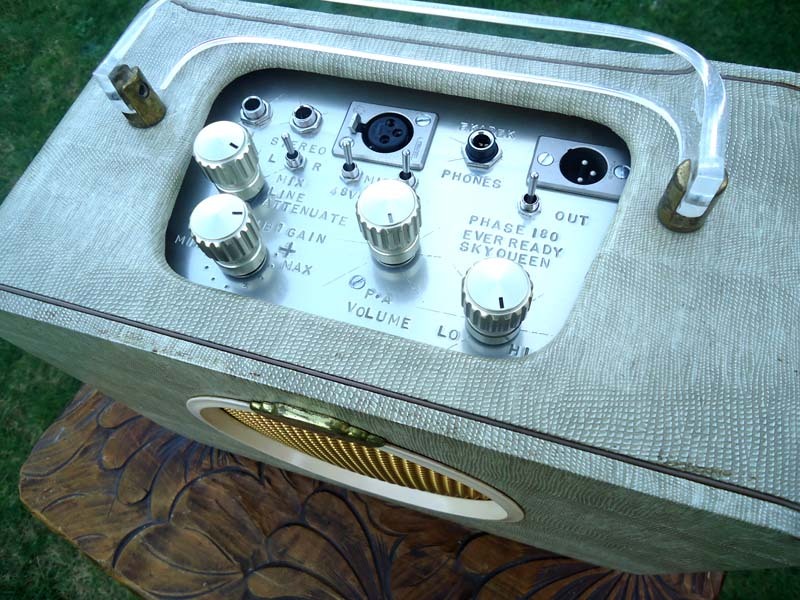 the p.a amp isnt a powerful one, just 1 or 2 watts of valve radiogram style. the skyqueen has very desireable looks. 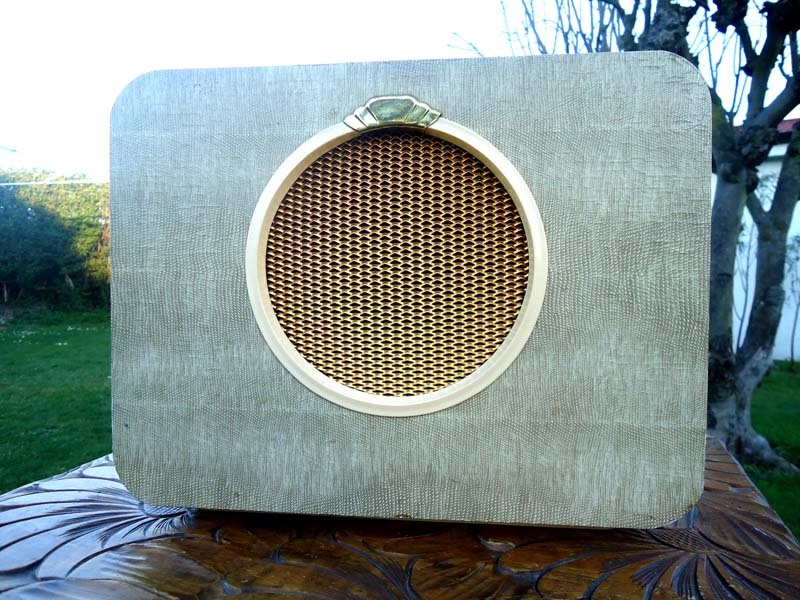 with creamy aligator tolex vinyl covering and brassy trim bits. she has a fancy – and so modern perspex handle too. i hope the photos taken in the lovely matamata early evening light do the skyqueen some justice. she really is unique. weve been soak testing skyqueen day and night just playing cds thru her. wow . so good.